Group of extremely sharp tetrahedral crystals. 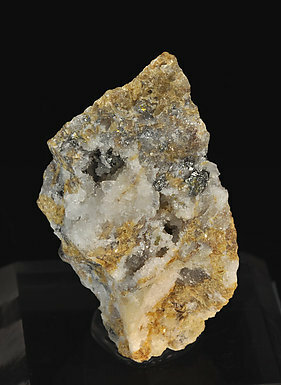 They are very well defined and bright and are on matrix with Quartz. The sample has been analyzed and we’ll send a copy of the analysis with a label from Dr. Kranz of Bonn, Germany. Tetrahedral Freibergite crystals, very bright and with fine triangular growth forms. They are on matrix with small Quartz crystals and pink colored Rhodochrosite crystals. 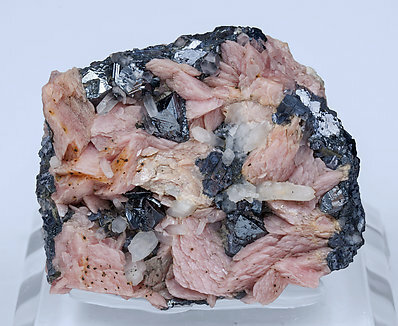 Both the Freibergite and the Rhodochrosite have been analyzed. We will send a copy of the analyses to the buyer. 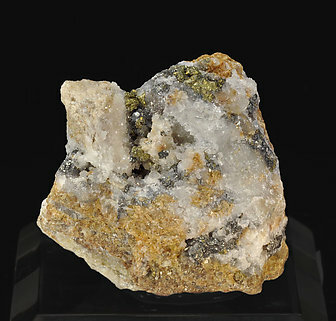 Small but sharp and extraordinarily bright crystals of Freibergite implanted in small vugs coated by small crystals of Quartz and on a matrix very rich with Siderite. The species has been analyzed and we'll send a copy of the analysis to the buyer. 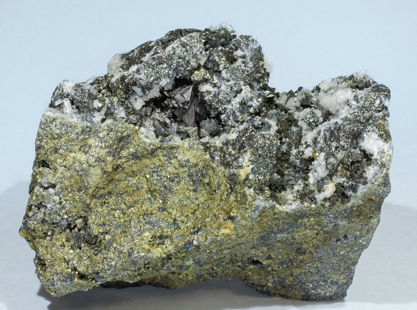 Small but sharp crystals of Freibergite with excellent luster, implanted in small vugs coated by small crystals of Quartz and Chalcopyrite on a matrix very rich with Siderite. The species has been analyzed and we'll send a copy of the analysis to the buyer.